Perhaps now more than ever before, our country needs the church at its best. To paraphrase another, the local church is the hope of our community when it is working right. Unfortunately, sometimes churches are not serving as effectively as they could. A church split, a failed leader, changing economics, stretched resources or an ageing congregation; there are many reasons for rural churches to be struggling and in decline. However, we at Rural Ministries do not believe that God has finished with His church in the countryside; indeed we see many encouraging signs of growth. 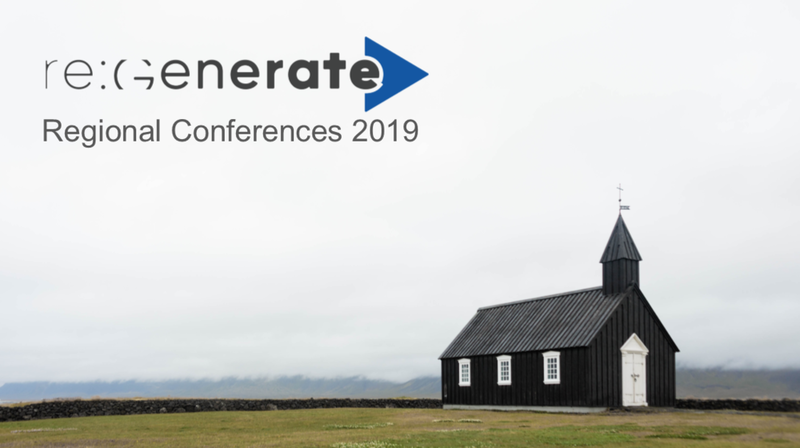 If you think that your church has great potential to impact your community, but lacks the resources, then you need to attend our Regional Conferences ‘Re:Generate’, in 2019. Through an interactive day of four sessions which comprise discussion, teaching, resources and practical advice, we aim to help you reinvigorate your church, helping it become stronger and healthier, and even more missionally intentional. Your church has incredible potential to reach your community and beyond with the gospel of Jesus Christ; come and be encouraged by what God has in mind for you. We’re not in Kansas anymore - understanding what has changed, and what hasn’t. From a church mindset to a kingdom mentality. Our Regional Conferences often sell out several weeks in advance so early booking is recommended. These events are for clergy, leaders, members of churches and anyone with a heart for mission in their communities. The cost for attending one of our 2019 Day Conferences is just £20 which includes refreshments and a light lunch. All bookings must be made through Eventbrite booking system - just click on the appropriate button below.